Bentley ARLFC went down fighting at West Hull in the Coral Challenge Cup but the match was overshadowed by an ‘unsavoury’ Snapchat video. West Hull, the highest ranked side in the second round, ran out 36-0 winners on Saturday. 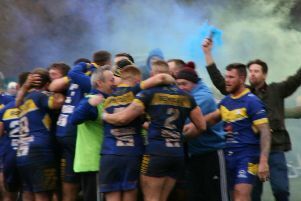 The result did not prevent Bentley’s players, officials and their 200-strong support enjoying their big day out at last season’s National Conference Premier Division grand finalists. However, the occasion was marred by a video filmed after the match of an individual urinating inside the Bentley dressing room which circulated on social media. The video also showed a door hanging off its hinges. The Doncaster club issued a statement on Sunday, which read: “Firstly we would like to thank West Hull for their hospitality yesterday accommodating the 200 plus supporters and the team. “The best team won on the day they were a class above us and were well deserving in their victory. “They as a club are what we aspire to and are working towards achieving on the field. “In relation to the footage we have been sent and seen we must stress that we do not condone this behaviour at all. “As a club we will be dealing with the individual seriously. “Of the 200 supporters that travelled to Hull unfortunately 1 has spoilt what was a momentous occasion for the club. “We will covering the cost of cleaning and fixing the door and will be in dialogue with West Hull regarding this. 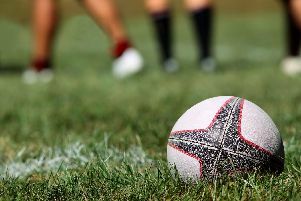 Bentley beat the Army 18-16 last month in their first ever appearance in the first round of the Challenge Cup.